Welcome to the ACFCU Home Loan Center. Are you looking to purchase a home? Are you interested in refinancing your existing mortgage? We invite you to discover what other members have come to enjoy and expect from our home loan professionals. You will experience outstanding personal service, exceptional financial solutions and a dedicated commitment to identify the mortgage that's right for your specific situation. In today's economic environment, home loan options are constantly changing. Therefore, it is more important than ever to find a mortgage professional who will take the time to listen to your needs, discuss all of your options and help you find the best program. With over one hundred years of combined experience, Appalachian Community Federal Credit Union's mortgage professionals will help make buying or refinancing simple and enjoyable. We will meet with you at your convenience because we value your time. If you are interested in a tailor-made program and are looking for exceptional mortgage expertise, please call us today at 800-378-3778 for a personalized, no obligation consultation or to obtain a free pre-approval within 24 hours. Atlantic Bay Mortgage is a mortgage lender where the genuine care and consultation of our clients is our highest mission. We pledge to provide the finest personal service to our clients, who will enjoy the entire mortgage process and become a client for life." 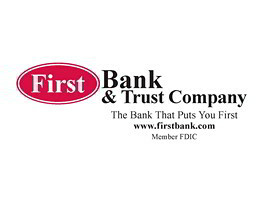 At First Community Bank, we believe in sound, common sense financial decisions that are in the long-term best interests of our customers while offering such mortgage services that include conventional fixed rate mortgages, flexible terms, adjustable rate mortgages, low minimum down payment, reasonable origination fee, construction loans, first-time homebuyers programs, manufactured home loans, and second mortgages. We also offer loans on refinance programs, VA loans, second home and investment properties, Jumbo mortgages and home equity line of credit. The result is a loan that makes sense for your financial situation. Locally owned and operated mortage company in business for over a decade. Providing financing for residential properties up to 100!